Now you can create your own "invisible" partner with the Invisible Boyfriend and Invisible Girlfriend apps. Are you tired of your friends and family asking why you are still single? Do you long for a special someone to send you love letters or romantic texts? Or maybe you just want someone to practice flirting with. Don't worry. There's an app for that. Invisible Boyfriend, and its counterpart, Invisible Girlfriend, will provide you with a fake significant other your loved ones can believe in. Users can have text conversations and share photos of their invisible partners. 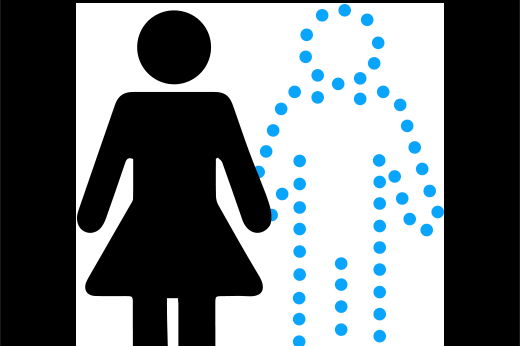 The app allows people to customize every aspect of their invisible boyfriend or girlfriend, from name and age to personality. You can even create the story of how you met. "Society puts so much pressure on your relationship status. From Grandma to coworkers to romantic comedies, everyone seems to expect us to pursue a relationship." The new app was born when co-founder Matt Homann, who was newly divorced, decided he was tired of being asked if he had found someone new. "Around Thanksgiving, my mom called me and asked if she should set an extra place for someone I’m bringing,” he recalls on the company's blog. When Homann's idea won at St. Louis' Startup Weekend in 2013, a team of five strangers was assembled. The group is excited about the ways the concept of an invisible partner can solve a universal problem. "Society puts so much pressure on your relationship status," the blog says. "From Grandma to coworkers to romantic comedies, everyone seems to expect us to pursue a relationship. But sometimes you don’t want to be in one. We think that’s totally normal." The app is also looking for people to serve as the faces of the invisible boyfriends and girlfriends to choose from. Submit a selfie, and if someone chooses your picture as their special someone, you will receive an “I’m Someone’s Invisible Girlfriend (or Boyfriend)” T-shirt, and you’ll be paid for each additional selfie you submit. Think you know someone who might like an invisible girlfriend or boyfriend? You can give the gift of a monthlong "relationship" for just $29.99. Not looking for quite so much (fake) commitment? Maybe you just need a nice cuddle session.